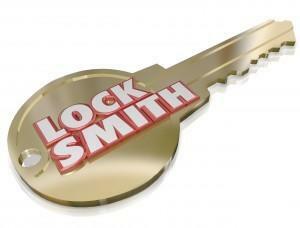 Master Key Phoenix | Local 24 Hour Service | Metro Lock & Safe Inc. When you need a master key in Phoenix, choose a company with the experience and tools to provide you with a complete master key system, choose Metro Lock & Safe Inc. There are a variety of reasons why master keys can be a desirable security asset for your business. Master keys act much like a skeleton key would, but there is only one grand master key that opens every lock and levels of individual change keys for controlling access. 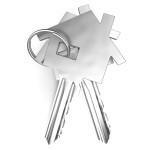 A master key in Phoenix can ensure that only the people you want to have access to a particular area have it. These master key systems come in a variety of configurations to ensure you get exactly what you’re looking for from your master key in Phoenix. Main Key System – This is a great commercial master key option which provides subkeys beneath a single master key. These are effective for small businesses wherein one owner needs access to every locker, but individuals need independent access to their own locker. General Main Group Key System – Much like the above, this master key system has significantly more subgroups and can be scaled up to suit any need. For large corporations with supervisors who have individual access, and employees with further access below them under the umbrella of an individual with master access, master keys can be made for as many subgroups as are necessary. Central Lock System with Technical Master Key -This is an excellent master key option for Phoenix hotels and storage units. It allows a master key to open a main entrance or gate and sub-locks like those of hotel rooms or units. Individuals can be supplied with a key that opens both the main gate or door as well as their own personal sub-lock. Combined Master Key System – This system provides you with the most secure master key option in Phoenix. Pairing a master key with an electronic lock system ensures you have the best in a Phoenix master lock key system and the utmost security. When you need a system that provides total control, our master key locksmith in Phoenix can create the ultimate home security system for you. We’re experts when it comes to home security in Phoenix, and a master key can be a great option for large residences where controlling access is of importance. With master keying in Phoenix, we can even provide you with master locks keyed alike so that you have controlled outdoor access as well. Whether it’s a mechanical or electronic master key system you need for your business, our locksmiths can install and design a system tailored to your particular business. Not only do our master key locksmiths have the experience you need, they have the supplies. Using only the best brand and materials ensures that when you lock something with a Metro Lock & Safe Inc. master key in Phoenix it stays locked. Customer satisfaction and professional excellence are always our highest priorities so when you need a master key in Phoenix, call (602) 663-9828 or contact us today.